Filling in for a still-recovering Mike Rockenfeller, Tom Kristensen will take the wheel of the E-POSTBRIEF A4 DTM for Audi Sport Team Abt Sportsline at this weekend's DTM race in Lausitz. 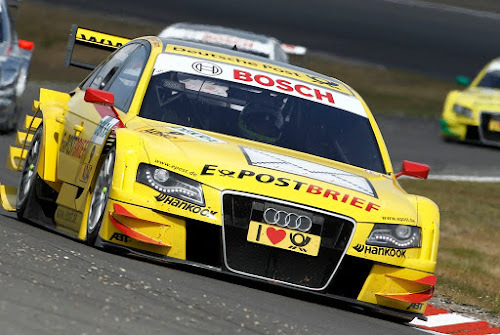 Competing in DTM for Audi Sport from 2004-09, "Mr. Le Mans" counts four total DTM wins and mounted the podium twice at the Lausitzring as best Audi driver in '05 and '06. Commenting on this weekend's race, Tom K remarked: "I’m looking forward to seeing all the old friends again and will try to substitute ‘Rocky’ as well as possible." 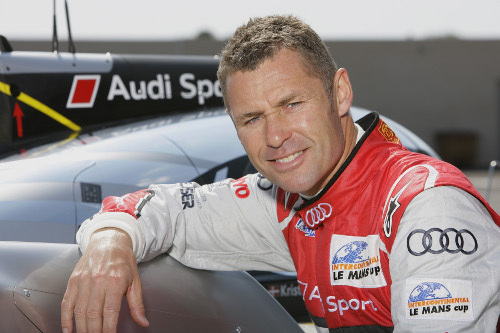 Press Release: Ingolstadt, June 16, 2011 – Le Mans record winner Tom Kristensen (43) will make a comeback in the DTM this coming weekend at the Lausitzring. The Dane replaces third in the standings Mike Rockenfeller (27) at the wheel of the E-POSTBRIEF Audi A4 DTM for Audi Sport Team Abt Sportsline. With Tom Kristensen an old hand returns for one race to the Audi Sport Team Abt Sportsline squad. The eight-time Le Mans winner competed between 2004 and 2009 for Audi in the DTM before concentrating solely on the sport prototype program. Although he considers the Lausitzring not to be one of his favorite circuits, the Dane has fond memories of the circuit: he mounted the podium as best Audi driver there in 2005 and 2006. "Tom K.” has won four DTM races in his career to date.